Home Soccer "I would buy Mbappé immediately, but we are not like the English and Spanish"
"I would buy Mbappé immediately, but we are not like the English and Spanish"
The president of Bayern revealed that he is a fan of Mbappé and that his great dream would be to see him play in his club, but he acknowledged that he has no money to sign him. It is undoubtedly the most desired striker. Kylian Mbappé is making European football banking jump. Everyone wants him, but his contract with PSG until 2022 and high value, 200 million euros, according to market studies released recently, is a brake for teams who aspire to sign him. Real Madrid is first on the list, but it is not the only club that dreams of signing . The 19-year-old striker, , is the signing of Bayern München's dreams. This has been confirmed by his president, Uli Hoeness, to the German agency Deutsche Press-Agentur: "He would buy Mbappé immediately. great ... But we do not have the money for that ". The economic issue is the great barrier for the German team. 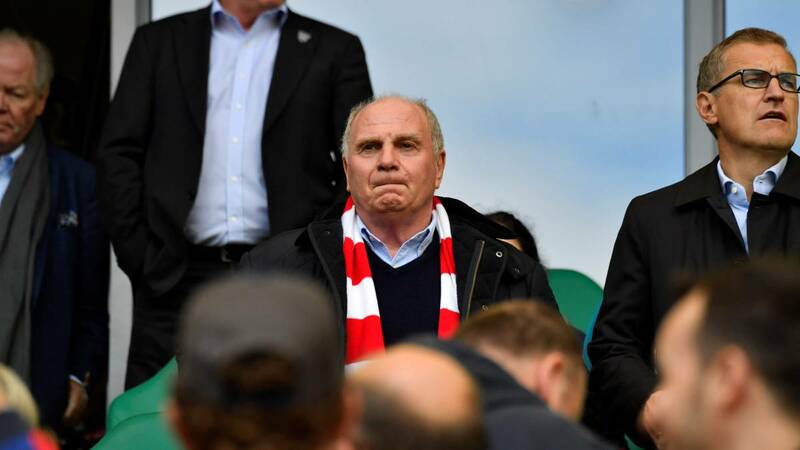 Hoeness released the club's ribbon, 100 million euros, half of the value attributed to the French: "Bayern has no chance to get into the bidding of the great English and Spanish clubs, and Paris Saint-Germain ", assured. He explained that the club was not in a position to pay 100 million euros or more for a player. " PSG does not seem willing to let its star player go and prepares an offer that equals Neymar's salary.